I received a brochure advertising all things magnetic and claiming to cure all sorts for ailments like snoring if this object was put up the nostrils, and all sorts of aches and pains if worn on different parts of the body. Please, can you advise me if there was any evidence at all to prove that magnets have these type of powers and if so, how they work. Thank you. We spoke to Stuart Richmond from the Department of Health Sciences at the University of York to answer this question for us... Stuart - The fact that blood contains iron is one of the reasons why some people believe magnetic bracelets might have an effect on the human body. However, blood is not magnetic in a conventional sense. 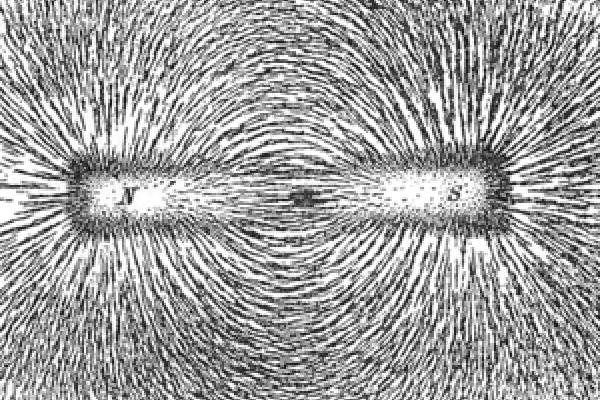 In other words, it is not ferromagnetic which is what most people understand as magnetism. If blood was ferromagnetic, then people would bleed to death or explode in MRI scanners which produce much stronger magnetic forces than those of magnetic bracelets. So although deoxygenated haemoglobin is paramagnetic and very slightly attracted to a magnet, and also both oxygenated haemoglobin and plasma are diamagnetic or in other words, slightly repelled by a magnet, in theory, wearing a magnetic bracelet shouldn't have a physiological effect. Firstly, any influence in the polarity of ions within red blood cells would be lost because blood flows in a pressurised and turbulent way. Secondly, blood is warm, so for any paramagnetic effect to occur it would need to overcome the forces of brownian motion. All of which are extremely unlikely. So, we turn to the second part of the question, do magnetic bracelets actually work? In my research on magnet therapy in arthritis, I began not by asking how magnetic bracelets might work, but rather by testing whether they had any health effects on humans and by trying to control for the power of imagination. The best available evidence showed that magnet therapy lacks any meaningful effect other than a placebo effect for arthritis and pain control. Although there are some contradictory results, it would appear that for those trials which have shown a benefit that have also tended to suffer from problems of blinding which might explain those findings. Diana - And when he says that test subjects weren't blind, that means that they were able to identify if their bracelet was magnetic or not, potentially altering the outcome of the trial. Stuart - So, despite this, the effects of positive suggestion should not be discounted if people choose to believe that wearing a magnet might help, then it may well do. Although there are no known side effects, the danger is however that people may use magnetic bracelets instead of other clinically effective treatments. Previous How does Graphene compare to Buckminsterfullerine? Next Is it less windy behind wind farms?